As the pain subsided briefly, Abrielle rushed inside to wake her father-in-law. He calmed her and examined her, palpating her stomach and listening to her belly. Finally, he looked up, with a sad face she knew all too well. Even though it had been what she had expected, her eyes still filled with tears hearing the words out loud. 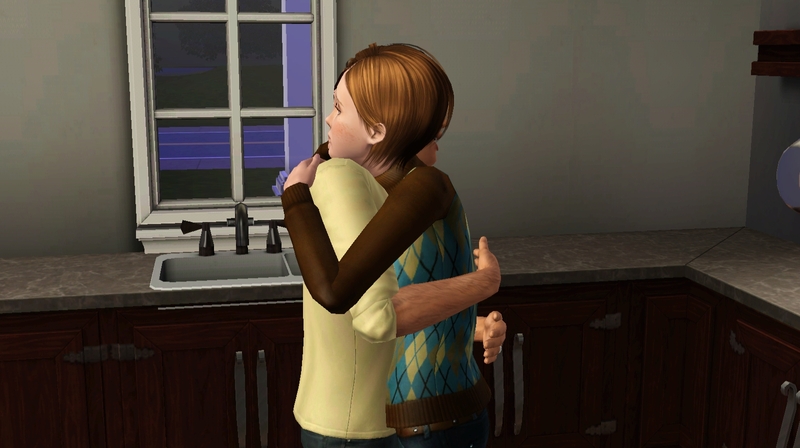 Shane pulled her into a hug, hushing her and assuring her that everything was going to be okay. “Do you have time to see me today after work? I think a more concise examination would be best,” Shane suggested. She agreed and told him she would stop by when she finished her day at the school. As promised, she made her way to Shane’s office in the hospital after work. He did a thorough examination and looked over her previous medical records. Then, he told her the last news she was expecting. “I know,” she whispered, hanging her head to hide her tears. When she arrived home, she asked Verne to join her on the couch. “Abrielle, what is it,” he asked, worried by the look on her face. “It’s a long story. Just promise to listen to the whole thing before you stop me.” With his promise, she began. “When I was younger, my parents and I lived in a really small town. It was devoted to the environment, trying to preserve nature, prohibit technology from advancing any further. It was rather like a cult really. Ever since I had been born, my parents had pushed me towards Lawrence. He was my age, his parents were also involved in the research and development that mine were involved in. Lawrence was really all I knew since we were both homeschooled. 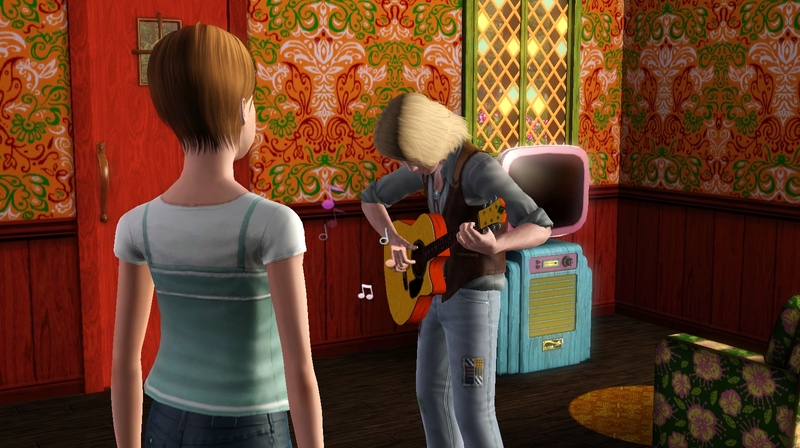 He used to serenade me on his guitar when he wasn’t singing to his parents’ garden plants. When we were 17, our parents married us. His father had the court paperwork to legally allow him to do so and our parents were consenting, negating the fact that we were minors. We celebrated, just the 6 of us, around a bonfire that night. Shortly after our wedding, I became pregnant. Lawrence and I were rather shell-shocked but happy. Then, one night, I woke up with horrible pains. His mother, who constituted as our mid-wife, told me I was having a miscarriage. She told me that it was because I didn’t love Lawrence enough and was being punished. I believed her. The second time it happened, his mother was even angrier. I believed that I was a bad person and must not be the person for Lawrence. 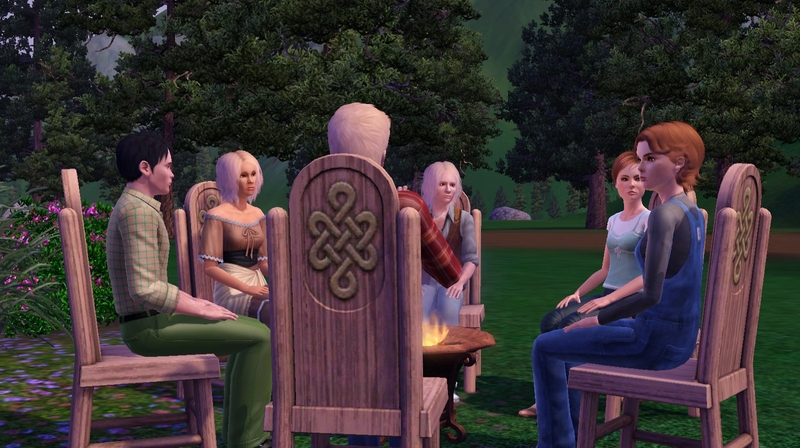 His mother and father quickly had our marriage annulled and my family moved to Twinbrook. 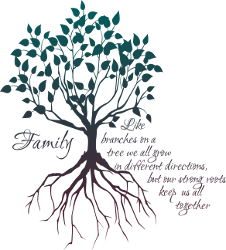 My failure reflected badly on my parents as well and they were shunned in our small community as well. Abrielle stayed silent, her story now over. Then, Verne pulled her close. He held her to him for a few minutes before speaking. Abrielle was happy that Verne still loved her and didn’t care that they couldn’t have children together. However, she was still discontented that she was unable to do a ‘normal woman’s job’. Verne could tell every day that not having children was eating her up inside. He decided they should visit Vesper. Her sarcastic sense of humor might be just the thing to cheer Abrielle up. They arrived at the house just in time to see Vesper puking on her lawn. “Oh, that’s great,” Abrielle gushed to her sister-in-law. Of course, Verne couldn’t help tell his parents the news. Both were excited to be grandparents and had been waiting for this moment since the wedding. They hadn’t expected Vesper to be the first to give them the grandchild they so wanted but they weren’t picky. They invited her over for supper to celebrate. The next morning, before he left for work, Vesper approached her father cautiously. 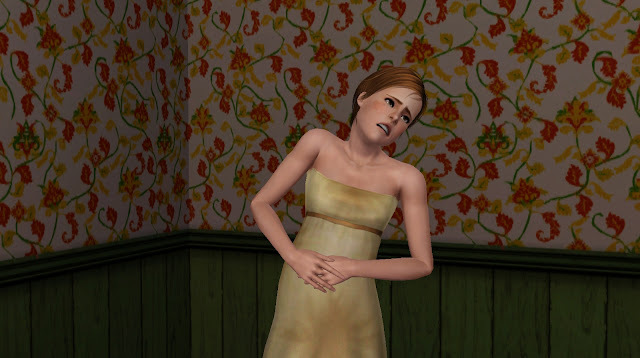 Shane listened and poked her belly a bit before pronouncing that she was having a little boy. He looked at his little girl, about to be a mother, and knew that knowing it was a little boy in there was going to make all the difference in the world. He smiled and whistled on his way to work. Verne pulled her into a hug, knowing that he needed to find a way to make her happy. They began fervently discussing their options. They finally both decided that adoption seemed the best choice to them. Verne called the agency first thing the morning after they decided and set up an appointment with a social worker. He and Abrielle were both a bundle of nerves. He hadn’t been lying when he told her that he wasn’t angry or disappointed in her that she couldn’t have children but he did want them. And leaving it up to the government rather than just the two of them was nerve wracking. The morning of the appointment, they could barely eat. Finally, the social worker arrived. First, they took the woman on a tour of the home. Then they made their way to the dining room and had a long discussion regarding what they wanted and were looking for, what their goals and plans were, and how they were prepared for a baby. 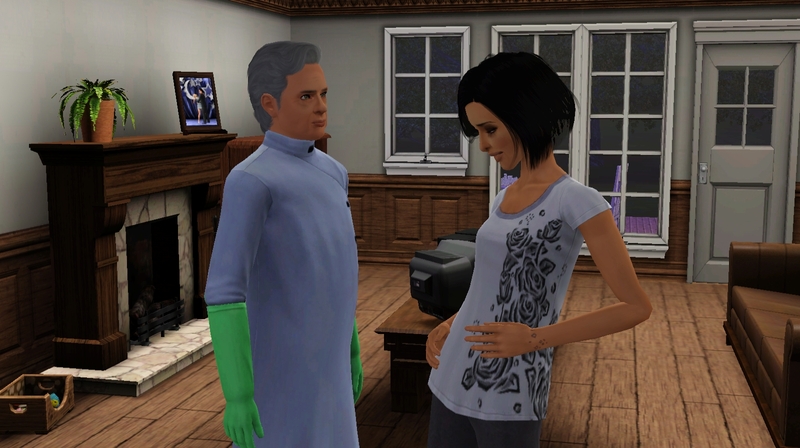 With that, Verne and Abrielle went into overdrive trying to prepare the house for a baby. They started by buying a small cradle and rocking chair for their room for the baby to stay when she first arrived. They finally furnished the foyer and even finally finished furnishing the house both upstairs and down. The second room upstairs was storage for the moment but they were thinking of either moving their room upstairs to be close to the nursery or turning it into an office for Verne. The nursery seemed like a wonderland to them. They snapped some pictures and Verne emailed them to the social work office. All arrangements were made and their baby would be brought home in just a few weeks. The day couldn’t have arrived any faster. So when they heard the car pull up, both Verne and Abrielle rushed into the newly decorated foyer to meet their baby girl for the first time. They had settled on the name Wren and were ecstatic when they finally got to hold her. Both of them took to parenting with ease. Just about any time they were home, they could be found near her cradle, cooing at her and snuggling her close. Then, one night just a few short days after Wren’s arrival, Abrielle had news to share with Verne. I want to apologize for the lack of updates. Things have been hectic around my house for the last week or so. My husband just got home from training and is leaving for a combat deployment in the next week or two so we've been trying to spend as much time as we can together. He comes first! After he leaves, I'll be starting a new job but I hope to get on some kind of schedule. Just please stick with me guys! I dunno if I'm happy or sad right now! DAMMIT HEAVEN! I'm so sad over Abrielle's backstory but I'm happy Verne accepted what happened so well and that they adopted. I'm curious as to what's going to happen to Verne's baby boy (Also what he looks like. Cause he's got one HOT daddy). Hope Abrielle can have a baby one day, even if it doesn't turn out to be this one. Abrielle's background is so sad! I agree with Cece - I hope that this pregnancy goes marginally well (crossing fingers!) and she's able to have a child someday. And I can't wait to see little Wren. Also, Verne is the best husband ever. Seriously. I'm sticking as well! I agree your husband does come first! I'm crossing my fingers for verne and abrielle, I hope this baby stays put! Verne is a great guy and very sweet, and poor abrielle has been through so much, they deserve this! of course he does silly. Aww, the nursery is so pretty! I hope everything works out with Abrielle's pregnancy. I'm also curious to know what Vesper will do. Okay i'm slowly catching up here Heaven (slapping my wrists for taking sooo long!) Firstly i want to say i loved Vesper before the start of this chapter but when she threw up on the lawn i loved her even more! Abrielle is such a lovely Sim and her story is so sad, i'm glad she found the lovely Verne and i'm hoping they get to keep this new baby.